Across-the-board federal budget cuts are coming, half from the Department of Defense budget; the other half to other federal agency budgets. But how will the cuts will affect Alaska Natives? Cuts to the Department of Defense, budget will lead to reduced funding for Army and Air Force base operations and civilian employees likely will go on two days a month of leave without pay. 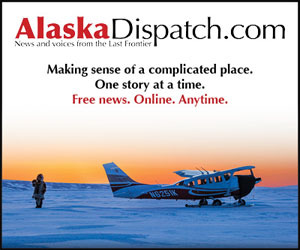 DoD cuts will also affect Alaska Natives through a Small Business Administration program. 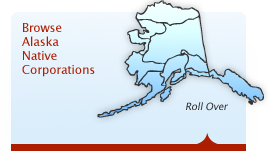 Under SBA 8(a), Alaska Native for-profit corporations, federally recognized tribes across the country, and Native Hawaiians are given advantages in bidding on federal contracts. In fiscal year 2011, nationwide, SBA 8(a) participants secured $16.7 billion in contracts. Executive director of the Native American Contractors Association Kevin Allis says the upcoming cuts put those contracts in jeopardy. “Many of our businesses are DoD contractors. So when you have this broad brush just eliminate X amount of dollars from DoD that’s going to flow down to many of these shareholders and tribal members and Native Americans not getting the resources that have flown through this program and through these companies,” Allis says. Alaska Federation of Natives president Julie Kitka says cuts to other federal agencies – cuts to everything from housing and judicial and corrections systems to wildlife fire management and housing –will also have far-reaching impacts. “For example the Department of Interior in which we have a lot of tribal programs they’re projecting that the tribes will lose $130 million across the nation impacting areas such as human services, law enforcement, BIA schools, economic development, and natural resources,” Kitka says. “They’re also projecting with the Indian Health Service — because they’re not exempt from these cuts you would think common sense, hospitals, clinics, basic stuff would be exempt. They’re not exempt. They get these cuts as well. They’re suggesting that nationally about as 3,000 fewer inpatient admissions and 804 fewer outpatient visits to the whole Indian health network across the nation,” Kitka says. “People’s confidence in the Congress to wrestle with tough decisions and make decisions has been really shaken. The public sector employees, federally recognized tribes, private sector, everybody is all rattled by the question: can they make decisions, can they resolve tough problems or does it remain in gridlock. Probably the biggest damage from the whole thing is this level of uncertainty and the level of risk that comes from that uncertainty,” Kitka says. “What we’re going to be doing is encouraging people to be very vocal to our delegation and others about how this program funding impacts people at the village level and how important it is and what happens if it disappears. When you look at the political process in dc they don’t think of our villages they don’t even think of Alaska they think of the big urban areas educate them about impacts. And rural Alaska doesn’t instantly come to mind. So it’s really important for us educate them about impacts, to educate them about Alaska, period,” Kitka says. Congress enacted the bill requiring the federal budget cuts last year in an attempt to force itself and the President to reach agreement on federal budget cuts to reduce the deficit.